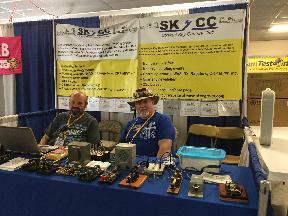 SKCC at Hamvention, Xenia, Ohio !!! 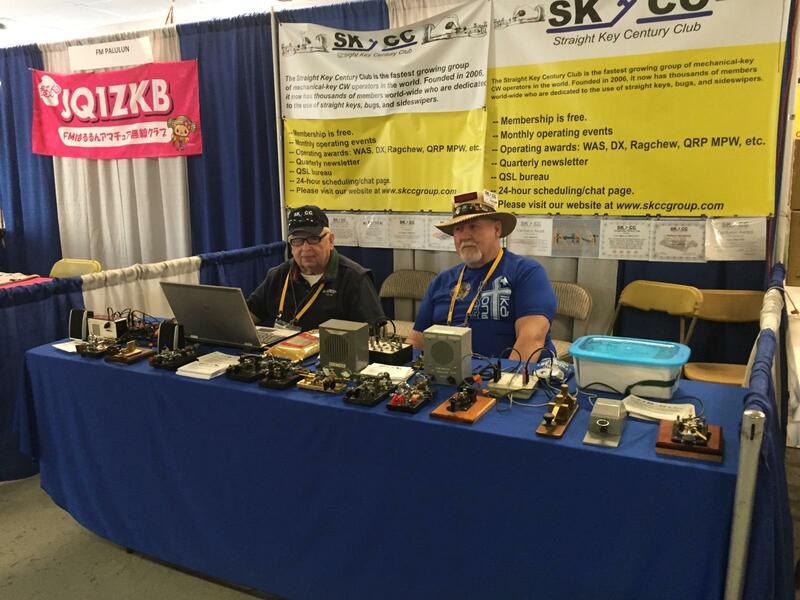 SKCC was in Building 4, Booth #4112, at Hamvention in Xenia, Ohio. Many thanks to all the members who volunteered to staff our booth during the event. 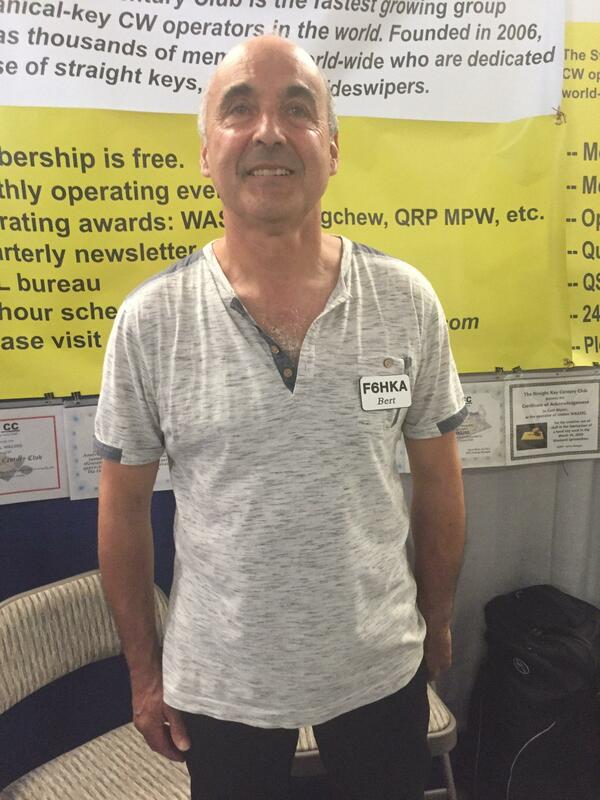 All members who dropped by the booth and checked in with us are listed below. 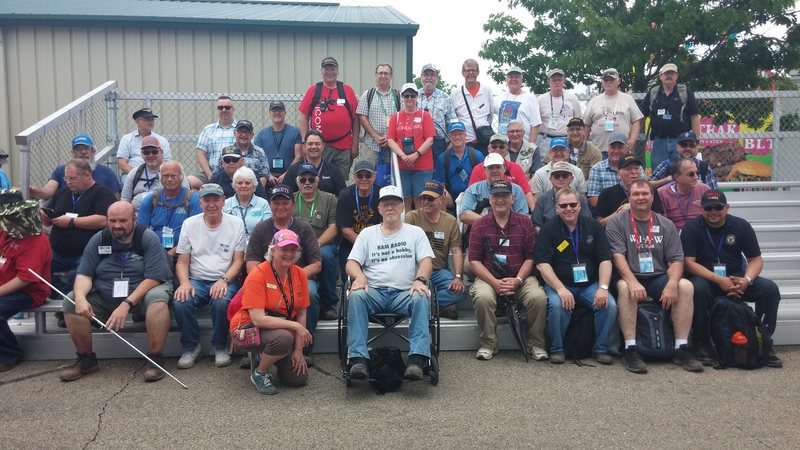 We took a group picture around 2:00 PM on Saturday. STRAIGHT KEY CENTURY CLUB (SKCC) for 12 years as a very active organization promoting manual keying of CW through activities, awards, and helping newcomers. 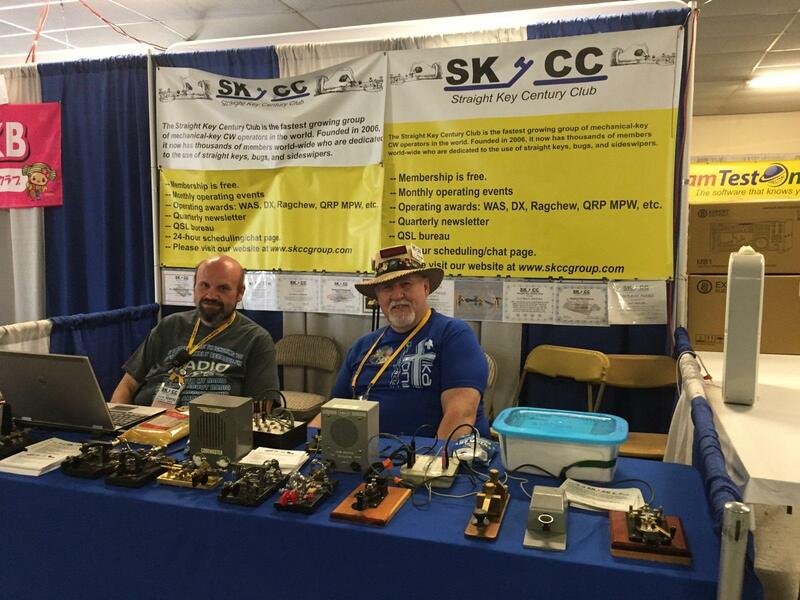 SKCC has over 18,000 members worldwide and promotes CW on the air as well as maintaining an excellent mentoring program for assisting in leaning CW. They have an awards program including 14 different CW awards. 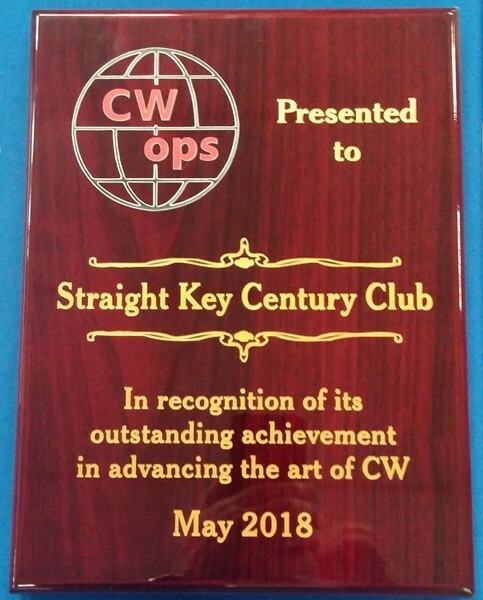 Their operating activities include 2 monthly sprint contests, a yearly month-long straight key month, a monthly straight key night, and a monthly 36 hour "Sprintathon" contest. 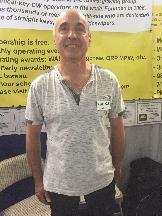 Steve Szabo, WB4OMM, attended the CW Ops Dinner on Thursday evening and accepted the award on behalf of SKCC. 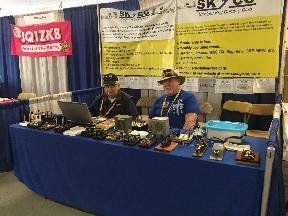 Working the SKCC Booth during busy hours. 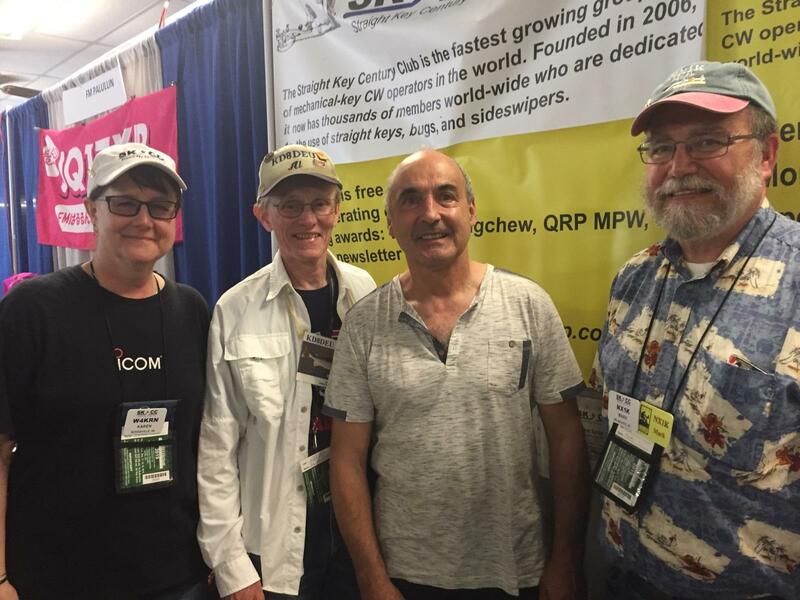 The following SKCC members stopped by our Booth and logged in for a chat.